by Staff Writer Shamir M.
Diet and nutrition play a vital role in our healthcare, and we always see new types of foods being introduced to our supermarkets. With 30,000 deaths caused by obesity in the UK, we as a society are alarmed by this new epidemic. This results in diet reflection. Of course you are able to enjoy some sweet or unhealthy foods, yet as they say, “Everything in moderation.” This is where superfoods come in. 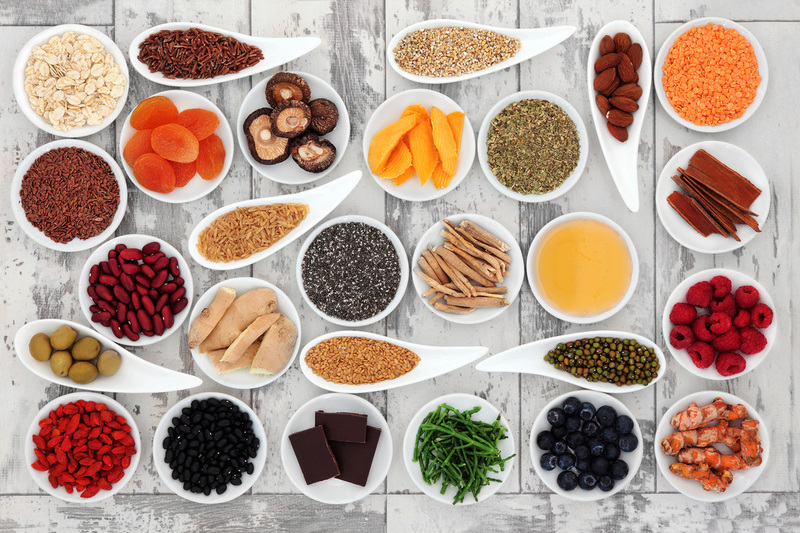 By definition, superfoods are nutrient-rich food, considered to be especially beneficial for health and well-being. Foods like quinoa, kale, coconut oil…etc . All these foods can easily be inserted into our diet, with the nutritional benefits that these foods have it’s not a surprise that these products are being implemented in our daily lives. It used to be that we would have to look for these superfoods, yet now they are being sold in most grocery outlets, and even BOOST juice shop. The simplicity of just adding chia seeds to your juice or shakes just makes it easier to strengthen our diets, without having any trouble trying to acquire the products. ISKL athletes have to not only focus on their workouts, but how they are going to fuel themselves pre and post workout. Everyone knows that as an athlete you can not perform to your best ability without proper nutrition. Athletes will take protein powder, or just protein, as Ben C. ‘18 states “ I try to stick to a high protein diet, things like eggs, meat and protein powder. I do this to increase my muscle growth” Protein is found in most athletes’ diets, especially those who need to maintain or increase their muscle size. Yet with superfoods like quinoa, you can add another protein-full food into your diet. Quinoa is a complete protein, meaning it packs all 9 essential amino acids that your body needs. Quinoa can be served with meat and vegetables, this gives you double the protein plus the nutritional value from vegetables. This kind of meal is extremely beneficial for those who participate in strenuous exercise, and it also decreases calorie count. Other superfoods to include in an athlete’s meal are: steel-cut oats, salmon , avocados, and brown rice. All these superfoods not only help with nutrition, they are great low-calorie replacements for foods you would normally eat. Instead of porridge, you can have oats; instead of using butter when baking, use avocados. Lisa in 10th grade talked about how her mum switched out foods for healthier options. “My mom has recently started swapping foods for healthier substitutes at home, so lately I’ve been eating quite healthy” Replacing foods for the healthier option is always important, as it makes us aware of what we could be eating instead of what we are. Susanna was also able to contribute. “The track team asked us to implement new food into our diets, so i switched out white rice for brown rice and quinoa” Seeing that your whole team is on the same diet can motivate you to continue the meal plan, and so when a whole track team of 30 people are asked to eat healthier, it influences every individual to start dieting. Our diets do not need to be completely changed, but the small substitutes can always make a huge difference. It’s the small things that affect our health, whether we need to gain weight or lose it. Superfoods are always there to guide you to achieve a goal.